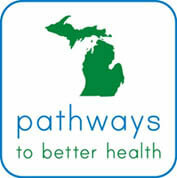 Senior Resources is proud to be participating in Pathways to Better Health, a community outreach program aimed to connect people with two or more chronic health conditions to local resources. The program’s goal is to improve health outcomes and lower health care costs by assisting Medicaid, Medicare and Adult Benefit Waiver beneficiaries age 18 and older. 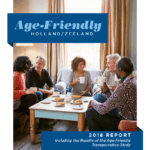 As an Area Agency on Aging, our target population is adults age 60+. We see this program as an additional way to reach out and serve older adults who may not be aware of the benefits provided to Pathway participants. Click on link below to view a flyer. Print and share as needed! To easily locate any Area Agency on Aging, go to the Eldercare Locator atwww.eldercare.acl.gov, or call 1-800-677-1116. The Eldercare Locator is a public service of the U.S. Administration on Aging.